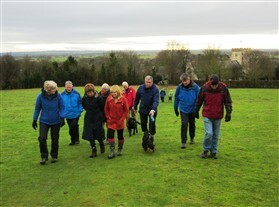 The weather on January 1st 2018 looked perfect for the annual footpaths walk - a mild morning with light winds and occasional shafts of sunlight through the clouds; until 15 minutes before the 2.00pm start, when the sky turned black and the heavens opened. 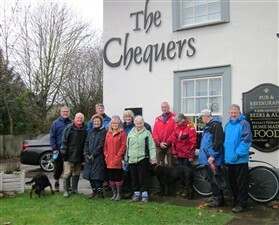 We sheltered in The Chequers with thoughts of cancellation, but by 2.15pm a line of blue appeared on the horizon tempting us away from the bar ! 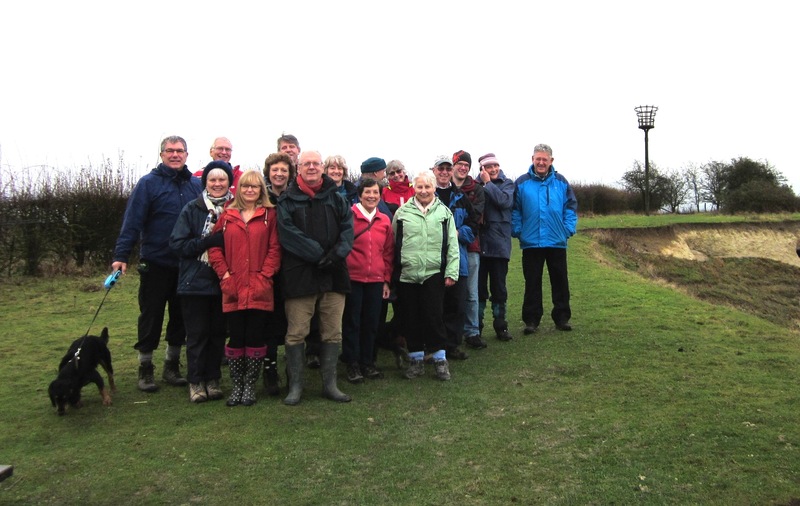 Seventeen walkers set off to enjoy the view from Toot Hill at the top of the Clunch Pit and numbers rose as we walked through Meadowcroft, along the Brook and onto Malton Lane, returning to The Chequers via the High Street for cakes and ale, etc. 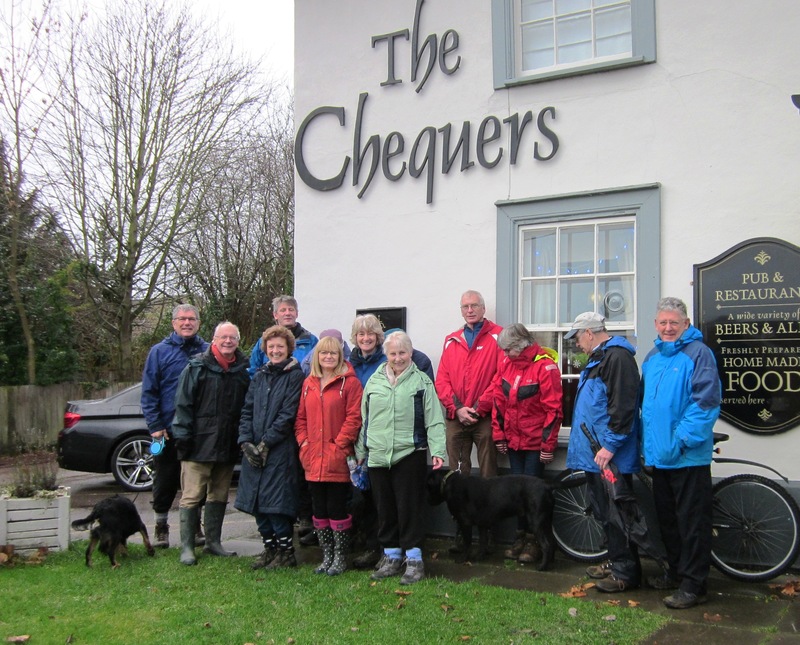 Thanks and congratulations to those who turned out to support the event despite the rain and thanks to Tina and Jill at The Chequers for tolerating our muddy boots and serving us with much appreciated beverages. This page was added by Sue Miller on 01/01/2018.